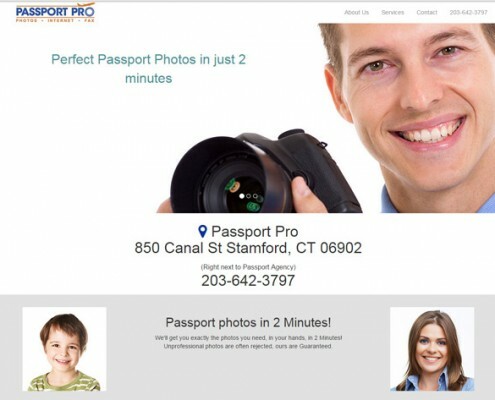 Passport Pro is a passport photography studio located right next to the Passport Agency in Stamford, CT. 3PRIME built a website that emphasizes the no-nonsense simplicity and quick service of Passport Pro, choosing to create a static site with a customized Bootstrap template. 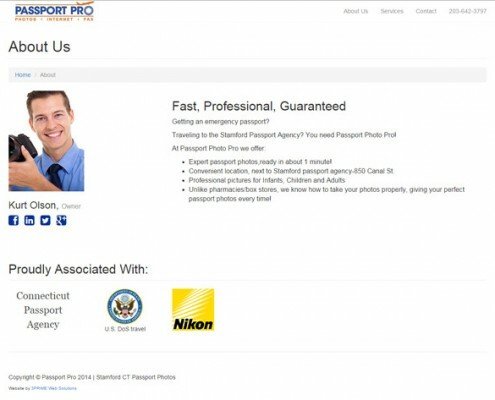 The site has a mobile-ready, responsive layout; convenient links allow both PC and mobile users to view contact information and get in touch with Passport Pro. 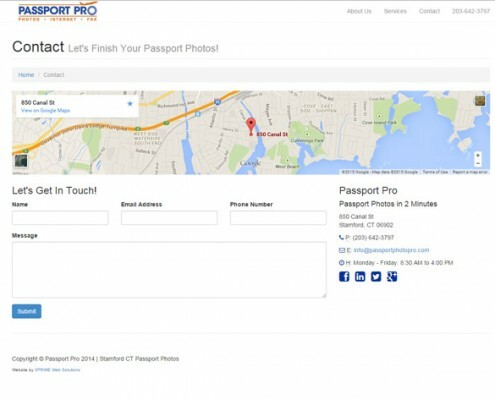 The contact page includes a custom-built contact form, along with other contact information.